California based Zeta Instruments Inc. manufactures non-contact optical profilometers for a variety of research and industrial applications. The optical profilers are required to have a compact footprint while meeting stringent repeatability and accuracy requirements in a noisy semiconductor manufacturing fab or a busy academic lab. Measurements such as contact bumps on silicon wafers require a large vertical range on the order of tens of micro-meters, while measurements of super-smooth texture require the same tool to operate in the range of nano-meters. Zeta’s unique approach to measurements, using its patented ZDot™ technology and Multi-Mode Optics, enables users to tackle the most difficult of surface texture measurements with ease. 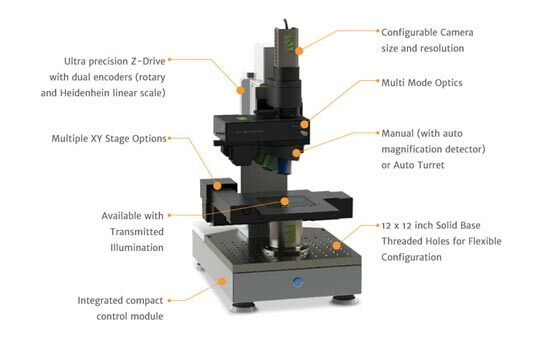 The Zeta-20 Optical Profiler (see picture) is the typical configuration used for research at world-class universities and R&D institutions. 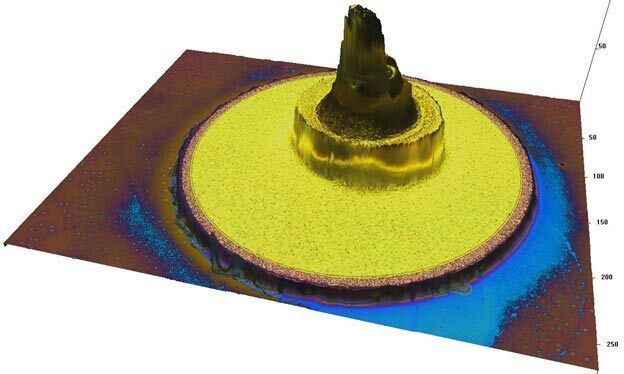 This non-contact 3D imaging and metrology system incorporates a patented ZDot™ based vertical scanning mechanism, which is ideal for the measurement of ‘difficult surfaces’, such as surfaces that are transparent, low contrast, high roughness, mixed material, very low in reflectivity or very high in reflectivity. 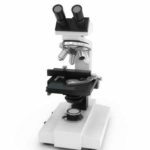 Unlike a typical vertical scanning microscope which is limited by its depth of focus, the Zeta-20 incorporates a unique Multi-Mode optical design with very high light throughput that enables a height resolution of 10nm using standard microscope objectives. The high brightness white LED source combined with a color CCD camera allows the system to simultaneously measure both topography and the true color of the surface. The flexible Multi-Mode optical architecture of the Zeta-20 optical profiler enables the system to be extended to include Nomarski imaging (ZIC), Interferometery (ZX5, ZSI) and Spectroscopic Reflectometery (ZFT), depending on the surface condition and the type of imaging required. 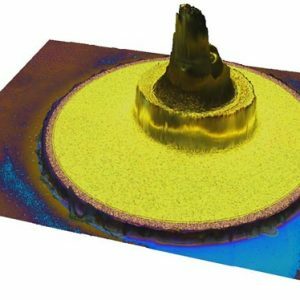 Zeta’s non-contact 3D Optical Profilers exceed their customers’ performance specifications by incorporating nPoint’s NPZ100-255 piezo stage in their vertical scanning mechanism. The stage is designed to be very stiff and carry a high load. Precision motion is made possible with the use of nPoint’s advanced controller technology and capacitive feedback. 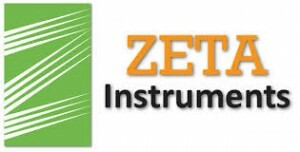 Commenting about the collaborative effort between Zeta Instruments and nPoint, Hung Nguyen, Zeta’s VP of Engineering said, “nPoint’s engineering team works with our team to come up with a novel form factor that allows a seamless integration of nPoint’s piezo stage with Zeta Instruments’ Multi-Mode optical profilers. The nPoint team continuously provides us with timely support for both our engineering and manufacturing needs. We consider the nPoint engineering team an important partner in our development of new products”. nPoint is a US based nano-positioning solution provider. nPoint designs and manufactures piezo-actuated flexure stages and nano-positioning electronics for research and industry. 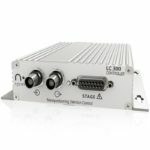 The LC.400 series advanced digital controllers and software focus on ease-of-use for customer integration. nPoint systems are used in a variety of applications from enabling cancer research and diagnostics, to improved security through enhanced surveillance technology. Z-Dot and the Zeta-20 are trademarks of Zeta Instruments, Inc.